Covering an exhaustive range of information about Manhattan, Brooklyn, Queens, the Bronx, and Staten Island, the first edition of The Encyclopedia of New York City was a success by every measure, earning worldwide acclaim and several awards for reference excellence, and selling out its first printing before it was officially published. But much has changed since the volume first appeared in 1995: the World Trade Center no longer dominates the skyline, a billionaire businessman became an unlikely three-term mayor, and urban regeneration-Chelsea Piers, the High Line, DUMBO, Williamsburg, the South Bronx, the Lower East Side-has become commonplace. To reflect such innovation and change, this definitive, one-volume resource on the city has been completely revised and expanded. The revised edition includes 800 new entries that help complete the story of New York: from Air Train to E-ZPass, from September 11 to public order. The new material includes broader coverage of subject areas previously underserved as well as new maps and illustrations. Virtually all existing entries-spanning architecture, politics, business, sports, the arts, and more-have been updated to reflect the impact of the past two decades. 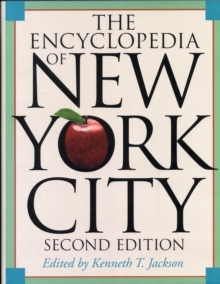 The more than 5,000 alphabetical entries and 700 illustrations of the second edition of The Encyclopedia of New York Cityconvey the richness and diversity of its subject in great breadth and detail, and will continue to serve as an indispensable tool for everyone who has even a passing interest in the American metropolis. Pages: 1584 pages, 752 b-w illus.